This would be a bigger deficit than those of its rivals Bharti Airtel Ltd. and Vodafone Idea Ltd.
Mumbai: Reliance Jio Infocomm Ltd., India’s most profitable wireless carrier, could lose as much as 150 billion rupees ($2.1 billion) this fiscal year when costs such as handset subsidies are included, according to analysts at Sanford C. Bernstein & Co.
That would be a bigger deficit than those of its larger Indian rivals Bharti Airtel Ltd. and Vodafone Idea Ltd., even though the company known as Jio will probably overcome them over the next 12 months in terms of service revenue and subscribers, analysts Chris Lane and Samuel Chen wrote in a note to clients dated Feb. 26. The fiscal year of Jio’s parent, Reliance Industries Ltd. ends March 31. 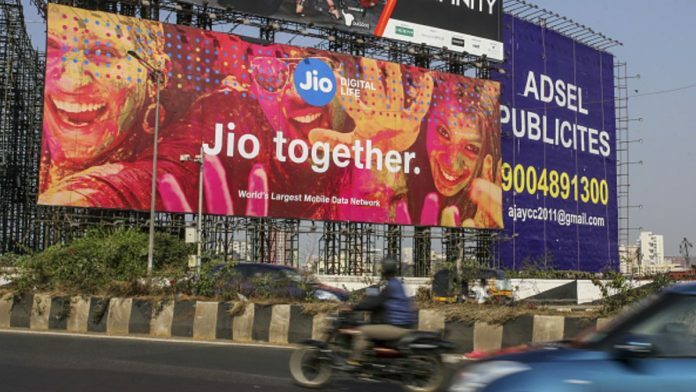 Jio — part of a group controlled by Asia’s richest man, Mukesh Ambani — introduced a free-for-life call service into one of the world’s most crowded mobile markets, triggering a price war. That push, which included offering low-cost phones, resulted in net handset subsidies likely totaling 72 billion rupees and total invested capital of 2.6 trillion rupees, Bernstein estimates. Jio didn’t immediately respond to calls, text messages and an email seeking comment. The phone subsidies are carried by a separate unit, Reliance Retail Ltd., and so aren’t visible on Jio’s profit and loss statement, according to Lane and Chen. Jio also uses “non-standard” depreciation metrics in its accounting, they said. Ambani’s wireless phone business, which he has said may conduct an initial public offering, has reported consecutive quarterly profits. To make a positive return on investment, the carrier will have to reduce handset subsidies and increase revenue from users, according to Bernstein. Vodafone Idea, India’s biggest carrier by subscribers, will probably post a net loss of 32 billion rupees for the year ending March, based on the average of analyst estimates compiled by Bloomberg. Bharti Airtel, the next largest, is expected to report a 7.5 billion rupee deficit, the estimates show.